Balloons and streamers heralded the opening of a new Togo's restaurant in Granada Hills in the OSH shopping center last month -- right across the street from the Jersey Mike's opened in 2010. 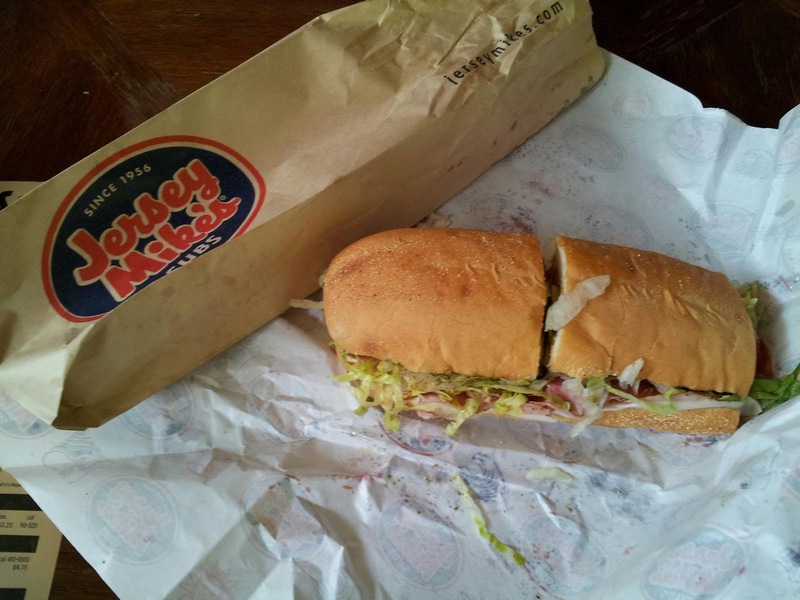 But does new interloper Togo's pose a threat to Jersey Mike's sandwich supremacy? Giga Granada Hills pitted sandwiches from both stores against each other in a salami-to-salami face off to see which sub Granada Hillsians should let into their hearts and mouths. Sadly, it was no edge-of-the-seat contest, as one combatant's the victory was swift and decisive. Seems that the new sub in town just couldn't hold off the Jersey boy. Our panel of six tasters -- which included a new mom eager to shake off the shackles of her pregnancy-proscribed cold cut drought -- quickly came to unanimous consensus that Jersey Mike's Number 13, the "Original Italian" bested Togo's Number 16, simply called "The Italian." "It's not bad, but it doesn't compare." "There's more meat, with more texture." "There's more vinegar, which makes it tangy." The main downside to Jersey Mike's: the significant improvement in taste comes at a significantly higher price. 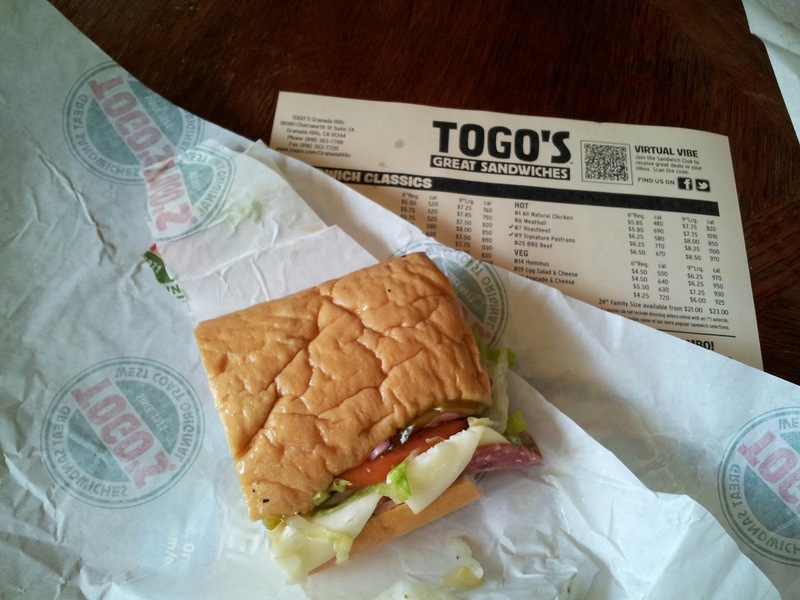 Mike charges $7.75 for a regular, versus $5.75 for the regular size at Togo's. True, the Jersey Mike's regular is 1.5 inches longer than the 6 inch Togo's sub, but two bucks seems like a big jump just for an extra inch and a half. Bottom line: if you want a perfectly serviceable, and far cheaper sub, go to Togo's. But if you want a Jersey Shore-style party in your mouth, walk across the street. Stay tuned: Next up, Giga Granada Hills stages a food fight between Jersey Mike's and the grandaddy of all Granada Hills sandwich shops, Italia Deli.